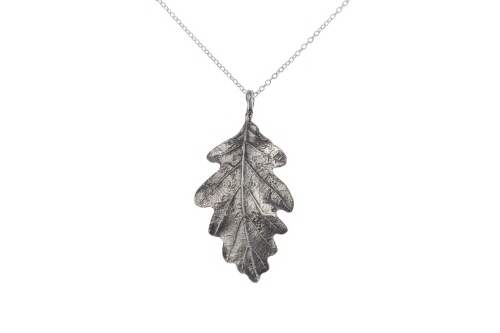 I can often be found gathering leaves, twigs and acorns from under an oak tree, these iconic trees support more life forms than any other native tree and are a common sight in our landscape. 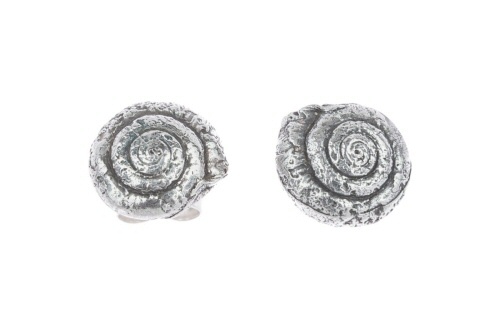 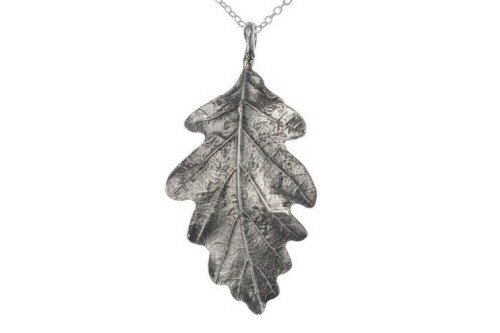 They have been used throughout history as a symbol of strength, longevity, bravery and growth. 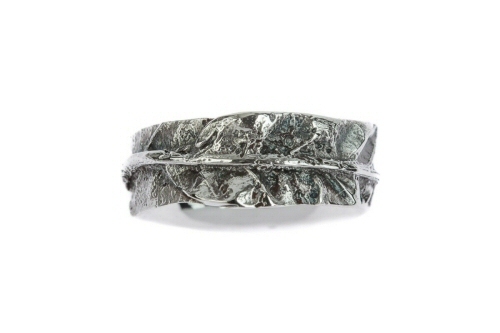 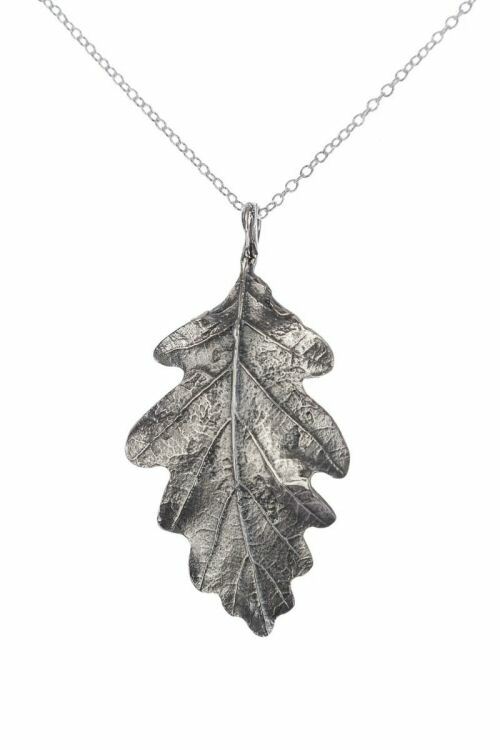 These solid silver Oak leaves are cast from life, the finest vein structures retained and enhanced through darkening the silver before the final polish. 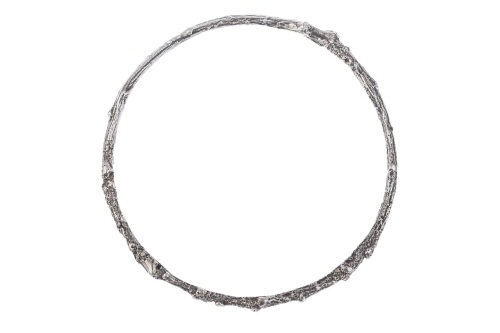 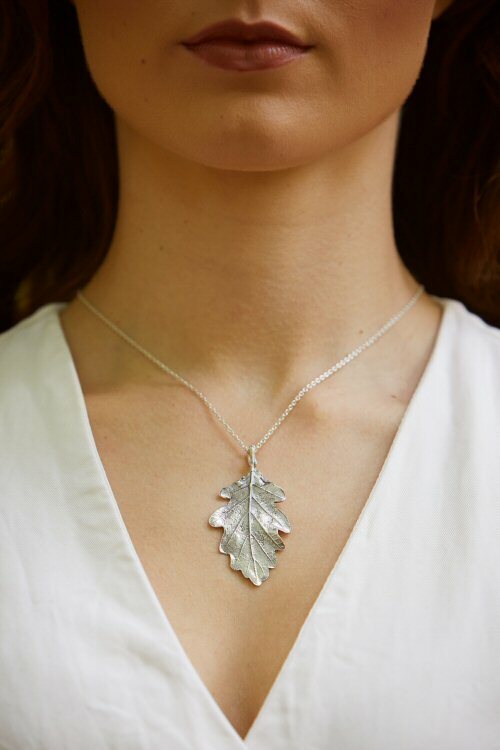 The stem of the leaf curves round to create the link for the chain, the back is highly polished and carried the Birmingham Hallmark. 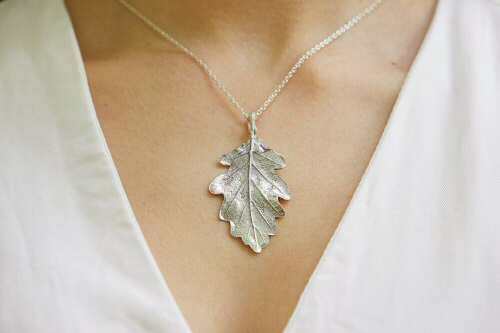 The oak leaf pendant is 5.6cm x 2.8cm, and is handmade in Oxfordshire. 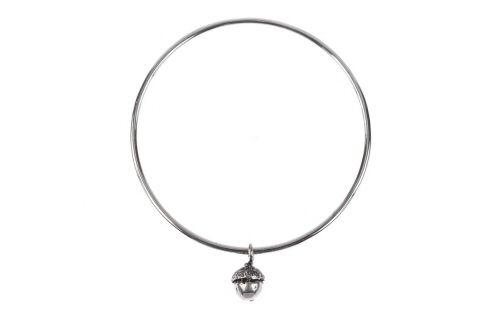 This pendant can be gold plated on request.